With over 25 years of small business experience, Delicious is more than just a great design partner. We’re uniquely qualified to share our real-world business insight with our clients — and help them get the most from their marketing efforts. If you could only work with a few select people to have your business hit a home run, Valerie and Robert Rekward, owners of Delicious Design, are the ones. They see the whole picture quickly and create a great game plan for success that will take you to the next level, right out of the park! The website design we developed for MethodIT is built upon the flexible and robust Wordpress CMS — so it’s easy to make updates and keep the site current. The style and content were thoughtfully crafted to communicate the MethodIT difference of “Industrial Strength IT for Business” — while clearly outlining the company’s IT offerings to prospective clients and partners. We built the first Kauai Film Commission website in 1995, and have rebuilt and maintained it for them since then. 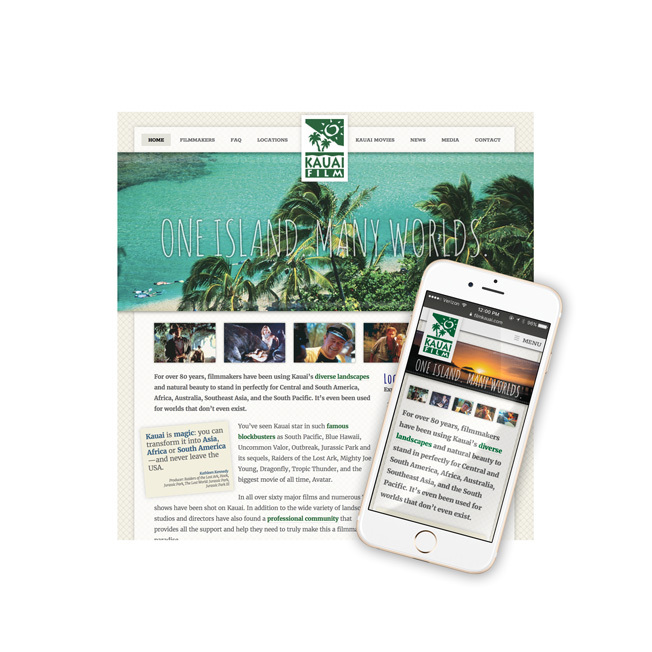 The 2016 Kauai Film Commission website was completely rebuilt from the ground up and is now mobile-friendly. Other enhancements include more location photos, updated information on how to produce a film on Kauai, online film permit application, fully updated Production Resource Directory that will assist film professionals in finding everything from animal wranglers to welders, and a digital archive of locations that can be shared privately with film industry location scouts. MethodIT came to Delicious Design when they needed to update their brand in order to appeal to a new market in the competitive Honolulu IT business. 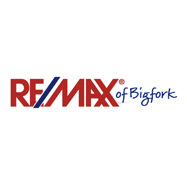 This logo design captures the “industrial strength IT for business” position they’ve adopted. The company name - Ingage - is a play on engage and was created for a woman who brought mentoring to life online. We created this ad for the 2017 edition of Bend Business & Lifestyle Magazine. 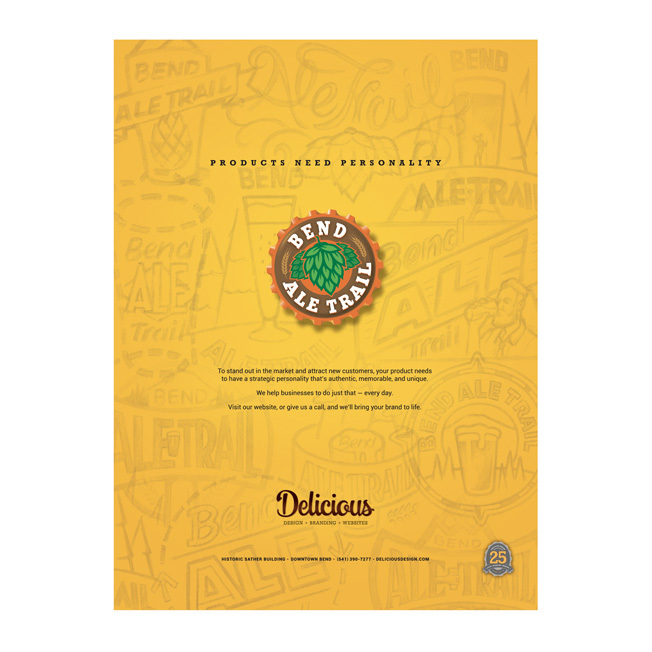 It introduced Delicious Design to the Bend business community and featured the Bend Ale Trail logo — which was commissioned by VisitBend and is widely used to promote Bend’s local breweries. We created this ad for the 2018 edition of Bend Business & Lifestyle magazine. Instead of the typical “Do you need our services?” message that everyone seems to be running, we decided to use this opportunity to inspire potential clients to “be brave” — and drive interest in our brand. Kauai is known for her diverse beauty and has been the leading lady in many a film. 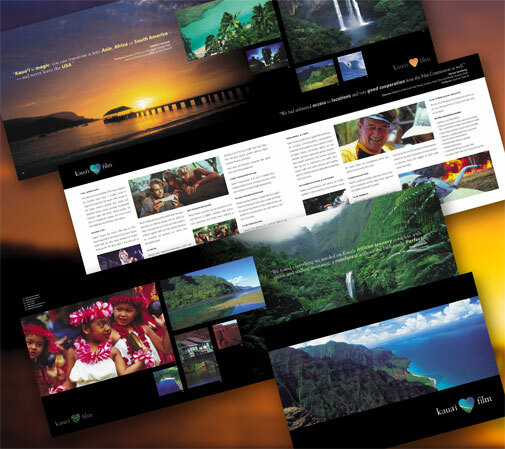 The goal of this brochure was to showcase the diversity of one small island as everything from the Australian outback, or the deepest jungle in Africa, to the opening scene from Fantasy Island, along with a bunch of technical information that film producers need to make informed decisions about where to shoot. Business coach and consultant Marilyn Allen helps organizations to find their “true north” and that idea is captured in this simple, clean, upscale logo. 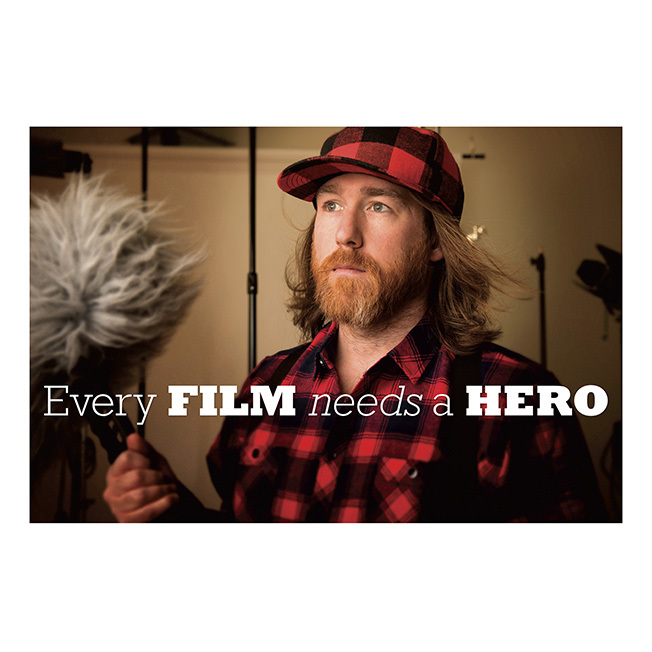 Wahoo Films is known here in the Pacific Northwest for their short films that make a big impact. They came to Delicious Design when they needed a process brochure which would educate and inform new clients about how they work. We took that core information and added a concept which would catch the readers attention — and demonstrate Wahoo Films’ creative approach to storytelling. The FreeTradeZone logomark was developed in the early 90s for a company called Partminer who was launching a new online electronic components store. 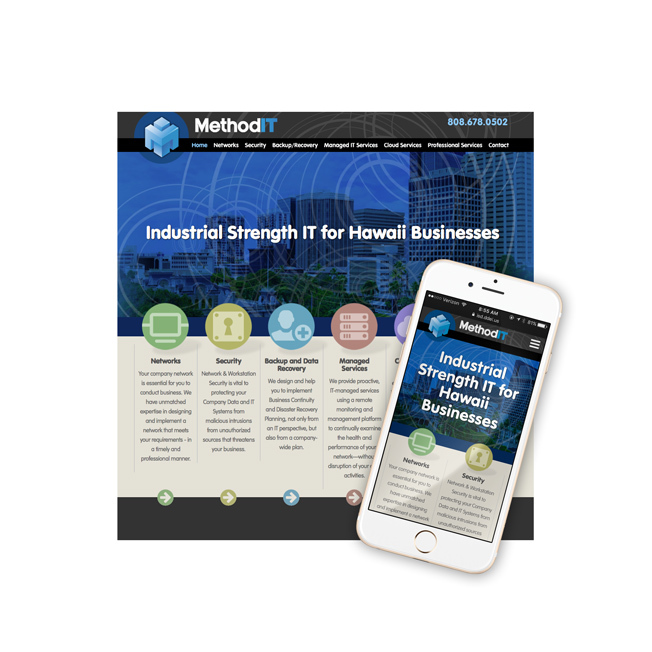 MethodIT is a Honolulu-based provider of IT services and support to the Hawaii business market. Specializing in networks, wireless integration, and cloud services, they provide the critical IT support to keep island businesses up and running. 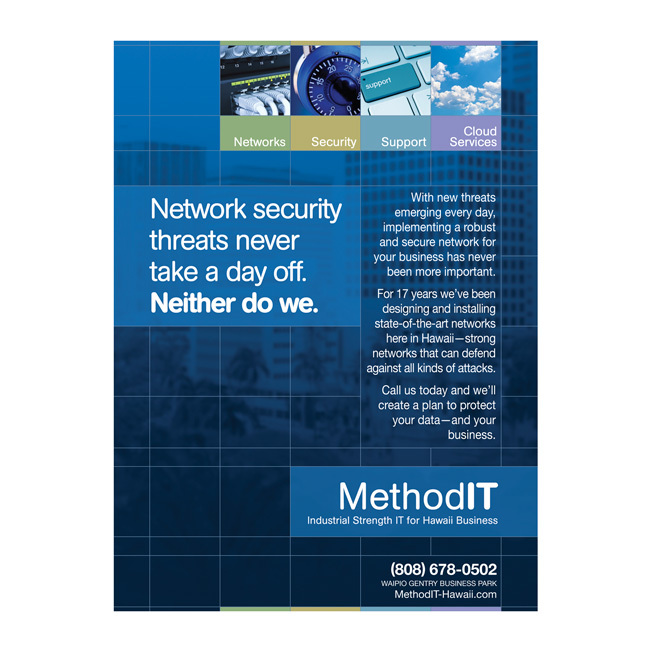 The print ad was designed to support MethodIT in the local market — it’s bold, simple message inspires confidence that business need when searching for IT support. 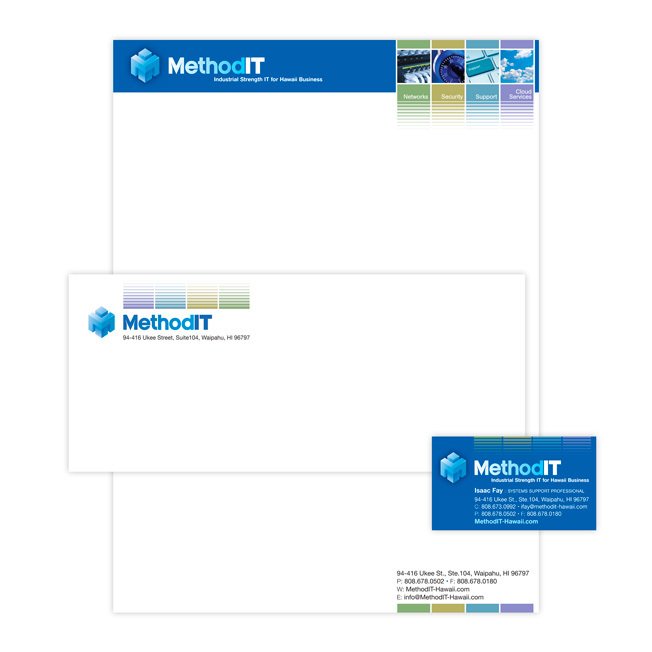 While email and vCards have taken over day-to-day business communication, a solid letterhead system projects a sturdy, reliable image — and MethodIT stationary inspire confidence among their clients. 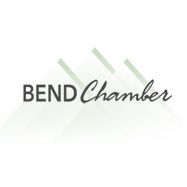 In 2018, the City of Bend hired us to develop a comprehensive brochure for the Water Department. 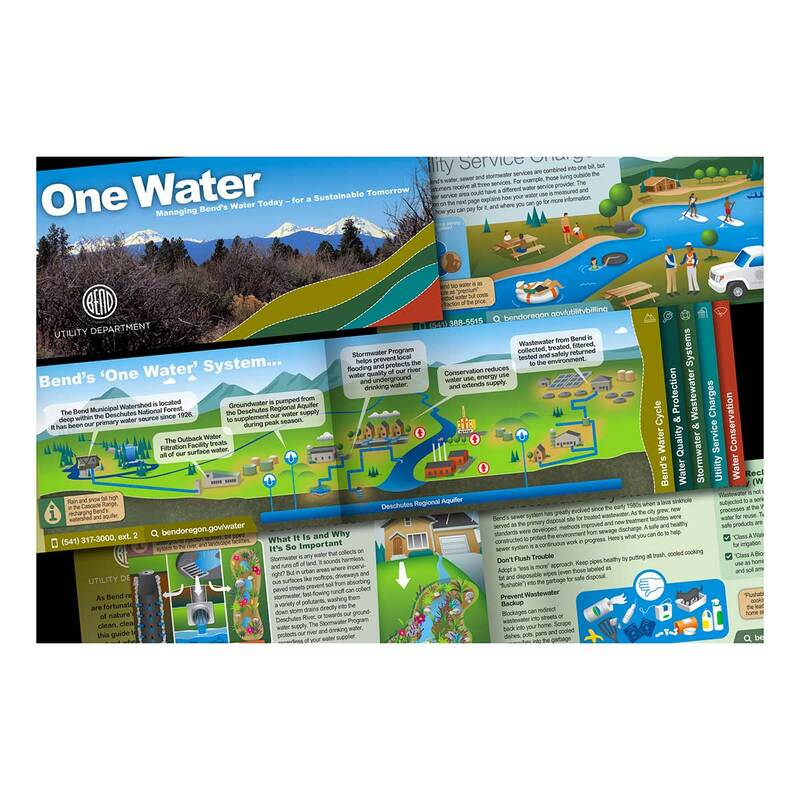 The result is this beautifully illustrated and copy written 12-page printed piece which covers all aspects of Bend’s “One Water” system — from where our water comes from, to how it’s tested and delivered, to how we conserve it and recharge our aquifer, and lastly how water services are billed for.